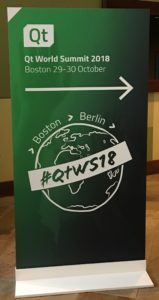 This year’s North American stop on the Qt World Summit world tour was in Boston, held during the Red Sox’s World Series win. Most of us were glad to be flying home before celebration parades closed the streets! The Qt community has reason to celebrate too, as there’s an unprecedented level of adoption and support for our favorite UX framework. If you didn’t get a chance to attend, you missed the best Qt conference on this continent. We had a whole host of KDABians onsite, running training sessions and delivering great talks alongside all the other excellent content. For those of you who missed it, don’t worry – there’s another opportunity coming up! The next stop on Qt’s European tour will be with Qt World Summit Berlin December 5-6. Be sure to sign up for one of the training sessions now before they’re sold out. Meanwhile, let me give you a taste of what the Boston Qt World Summit had to offer. One thing was clear: after 23 years, Qt is still going strong. The Qt Company and the greater Qt community have contributed 29,000 commits and fixed 5000 bugs between Qt 5.6.3 and the current head branch. Very kindly and much appreciated, Lars Knoll, CTO of the Qt Company, recognized KDAB as the largest and longest external contributor to the ever-growing Qt codebase in his opening keynote. All of this effort – and most of the things discussed in this blog – come to fruition in Qt 5.12 LTS, with an expected release date at the end of November. Another observation is that Qt is everywhere. Lars shared that it has now been downloaded five million times, a huge increase from three and a half million just two years ago. 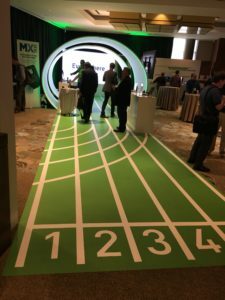 The more than 400 attendees at Qt World Summit Boston came from over 30 industries, representing academia, automotive, bioscience, defense, design, geo imaging, industrial automation, energy and utilities, and plenty more. All the training sessions and the talks were well attended, most to full capacity with eager attendees standing at the back. Is there a reason for this upsurge in Qt interest? Multi-platform is now a critical strategy for nearly every product today. Since Qt provides comprehensive support for mobiles, desktops, and embedded, it has become a top choice for broad cross-platform UX development. It’s not enough to release a cool, innovative product – if it doesn’t link to your desktop or provide a mobile-compatible connection, it often can’t get off the ground. 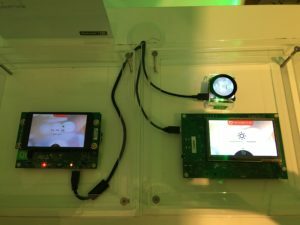 While there weren’t too many new platforms announced that Qt doesn’t already run on, there was invigorated discussion and demoing at the low end of the embedded spectrum. Qt on Microcontrollers is a new initiative, trimming Qt down to run on smaller MMU-less chips like the Arm Cortext-M7. While still needing some optimization and trimming to get to the smallest configurations, Qt on Microcontrollers currently takes 3-10MB of RAM and 6-13MB of ROM/Flash, making it an attractive option to create one code base that can address a range of products regardless of form factor. Another reason behind Qt’s increasing prominence is the breadth of the Qt offering. 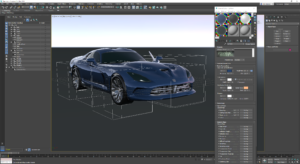 From 3D through design to web, there are many new improvements and components that make Qt a safe choice for teams that need to continually expand their product’s capabilities. While there have been a host of new additions to the Qt portfolio, here are a few of the more notable ones. In a programmer’s worldview, design is often a nice-to-have, yet not a must-have. I guarantee that perspective will change for anyone who had the good fortune of attending Beyond the UX Tipping Point, the keynote from Jared Spool, the so-called Maker of Awesome from Center Centre. If you weren’t able to attend the conference, I recommend you watch Jared’s video. Once you do, you’ll be glad that the Qt Company just released Qt Design Studio to help build great interfaces. KDABian Mike Krus also gave a tantalizing preview of Kuesa, a new KDAB product architected to marry the worlds of design and development. We’ve got some info on our Kuesa webpage (and a screenshot here) – keep an eye out for more to come soon. As an aficionado of the language, I’ve always found Python seriously missing UX support – there are solutions but none that are ideal. With the release of Qt for Python however, Python finally has a capable, regularly maintained UI tool with a huge community. This includes integration into the Qt Creator IDE; it will now go from a technical preview to officially supported in Qt 5.12 and beyond. I predict that this will soon make Qt the UI framework of choice for Python – happy news for the many folks who prefer C++ be neatly tucked under the covers. There are some clear benefits to running code within a browser recognized by cloud companies – lightweight (and often no) installation required, access everywhere to centralized, managed, and backed-up data stores, along with immediate and hassle-free updates. Those same benefits have now come to Qt with the support of WebAssembly. This lets you compile your Qt application (and with C++ too, not just QML/Qt Quick, mind you) into a WebAssembly compatible package to be deployed on a web server. This technology is now in tech preview, but it’s an active project that will be able to expand the reach of Qt into the cloud realm. Maybe all this flurry of Qt activity is also because it provides a common platform that can build a bridge between disparate disciplines like art, technology, and research. 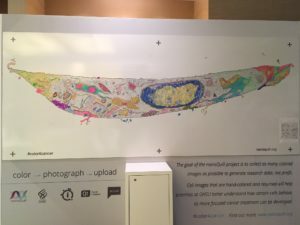 An example of this is nanoQuill, a collaboration between KDAB, the Qt Company, a biotech company: Quantitative Imaging Systems (Qi), and Oregon Health & Science University that crowd-sources electron microscope images of cancer cells for people to artfully color, thus #color4cancer. Based on Qi’s vision of merging programming and computer graphics with microscopy, nanoQuill built an application to use machine learning on these human colored images to discern cell micro structures, which in turn helps us understand how tumour cells develop resistance to escape cancer-targeting drugs. Currently, nanoQuill allows anyone to #color4cancer and post their artwork via their website gallery, a coloring book, nanoQuill: The Coloring Book of Life published in December of 2017, and will soon be in a form of an app. 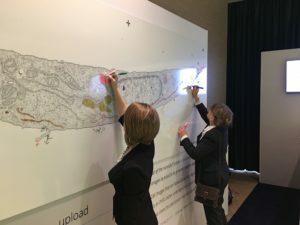 We had a large nanoQuill poster in our booth that people colored throughout the event, allowing Qt World Summit attendees to truthfully say they were not only learning about the latest Qt developments, they were helping fight cancer with art. Another great merger of art and technology was seen at our KDAB customer showcase from a company called Shaper Tools. 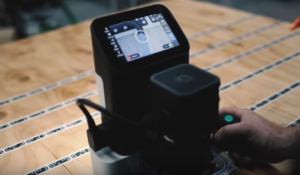 If you think you saw a table full of dominos at the edge of our booth, we weren’t passing the time playing – those “dominos” were actually optical registration tapes that allowed Shaper’s hand-held CNC machine to perfectly cut complex shapes. Look at some of the amazing projects that woodworkers have created using the Shaper Origin, and you’ll see that advanced technology doesn’t have to replace master craftsmanship – it can enable it. 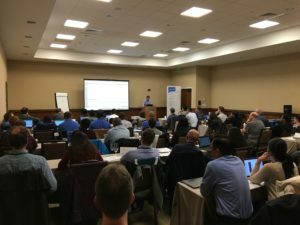 Whether you attended Qt World Summit 2018 to learn about the details of C++ and Qt or the industry trends in medical, automotive, and IoT, there was lots in Boston for everyone. If you care to share in the comments, we’d love to hear what your favourite session was and the best thing you learned.